Drivers are being warned to do their homework on online insurance deals to avoid ‘ghost broking scams’ that could leave them uninsured. 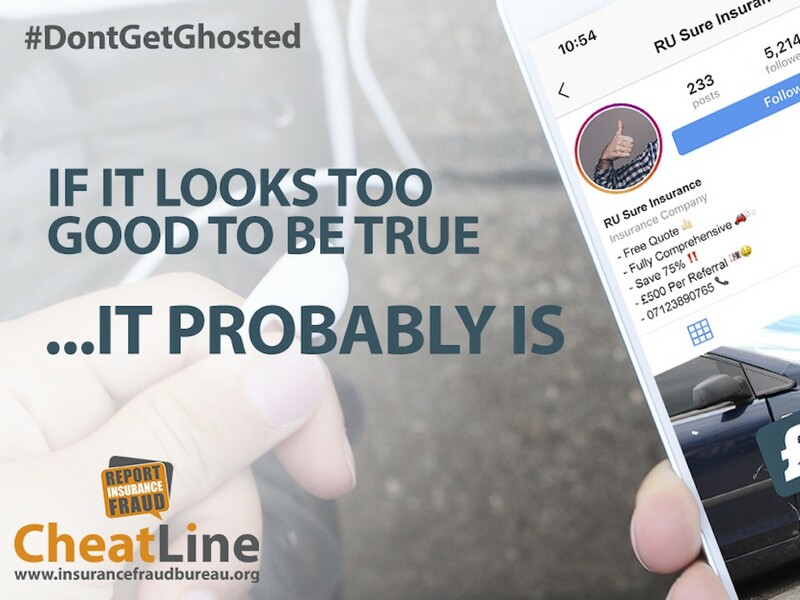 Under the scam, which could hit opt-out business drivers, so-called ghost brokers use fake adverts to pose as seemingly legitimate sellers on social media, offering cheap car insurance before disappearing without a trace, leaving their victims out of pocket and often uninsured. Although research carried out for the Insurance Fraud Bureau found 95% of people hadn’t heard of ‘ghost broking’, it said the practice is on the rise, with a significant increase in ghost broking investigations since 2015. This was backed up by work by an IFB Intelligence Researcher, who found more than 50 suspicious looking social media adverts worthy of further investigation in just a few hours of searching; the IFB is now working with them to get these removed. The survey, carried out YouGov, also revealed that one in three people didn’t know how serious the consequences of having fake or falsified car insurance could be. This could include a £300 fine, six points on your licence, your car being seized and potentially crushed, a possible court appearance, as well as being liable for the associated costs if you were involved in an accident. And, worryingly, two-thirds of people surveyed by the IFB admitted they wouldn’t even check if their seller had a website before buying car insurance. The IFB is also encouraging people to report suspicious adverts to its Cheatline on 0800 4220421.